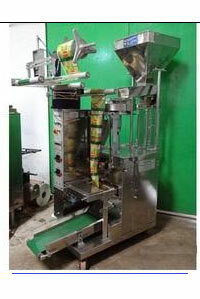 Pouch Filling & Sealing Machine made available by us are of prime importance in controlling packing processes that are involved in different industrial units. 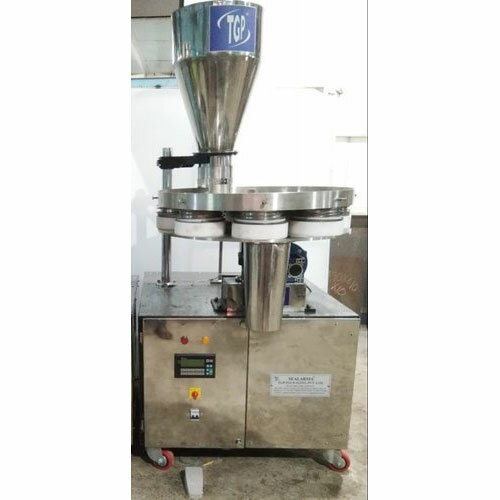 Designed to bring effective control in the involved filling, sealing, weighing or other packaging processes, these successfully handle packaging of specified material using well-defined steps and can pack products in granular, powder and other finish forms. Offering easy operating interface, these precision designed machines also require less maintenance in comparison to other machinery brands available in the market. We make these machines available in different track options including single track and multi tracks like 2, 5, 6, 8 and others. Further, we can deliver these in options of single, two side, three side and 4 side sealing options and ensure the involved filling operations are precision handled to ensure minimum wastage of material. 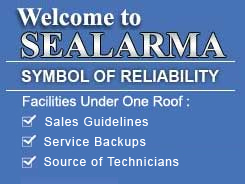 The availability of these machines with servo based film draw mechanism also eases the handling of involved operational cycle. Some of the other factors why these machines are preferred include its less wear, & tear costs and more durable MS with powder coating and SS cladding options, thus enhancing the service life of these machines. Any type of free flow granular products like Tea Leafs, Chanachur, Cashew, Small Biscuits, Pulses, Soyabori, Bhujia, Peanuts, And Whole Spice etc. For granule product like seeds, paddy seeds, pulses, masala muri etc to pack in preformed pouch and sealed in laminate pouch this machine is suitable. This machine is suitable for those whose are staring their business . This machine is semi automated cup filling process to fill material in prefromed pouch & for sealing purpose continous band sealing machine is required(only for laminate pouch sealing). Packing ranges are : 100gm - upto 5kg. Elctrical load required : 1.5 kw.